Chloe has been working hard for the people of Norwich North since being elected as their MP in 2009. She has worked hard to tackle Norwich’s problems and takes Norwich North’s needs to the heart of Westminster. Her vote in Parliament has supported improvements in the British economy – debts down, employment up, lower tax for the lowest earners – which have helped thousands back at home in Norwich. Chloe's been one of the youngest MPs in the country, with lots of energy, who's known for getting things done. Her work locally is unlike any other MP: she has built a project which has directly helped bring down youth unemployment in the city faster than elsewhere in the country. You can find more about ‘Norwich for Jobs’ and her other prominent local campaigns here. When first elected, Chloe set out a contract with the voters of Norwich North, showing what she would do and what kind of MP she would be. She has kept those promises. Chloe is now delivering more for Norwich in her “Six Point Plan for Norwich”. Chloe grew up in Norfolk and lives in Norwich. She went to two comprehensive schools in West Norfolk, followed by York University where she studied English. Before being elected to Parliament, Chloe worked for Deloitte, a leading international firm which advises private businesses, government departments and public bodies. During her time as an MP she has been a Minister in the Cabinet Office with responsibilities for savings to the government back office of £10bn in-year, government cyber-security and constitutional reform. She has also been a Treasury Minister, where her focus included oil and gas fiscal policy and a range of other taxes. Whilst serving as a back-bench MP, her Parliamentary work included scrutiny of the Modern Slavery Act 2015, and two Childcare bills which will provide help to millions of families. Chloe is once again a Government Minister, having recently served as Under Secretary of State for Northern Ireland. Her work there focuses on exiting the EU; liaison between the UK Government and Northern Ireland MPs and supporting the work of the Secretary of State for Northern Ireland. Now she has been asked to return to the Cabinet Office, taking her knowledge of the devolution settlements and involvement in the detail of exiting the EU to the role of Minister for the Constitution. Chloe’s key interests are skills, employment and youth engagement. She has advised the Prime Minister and the Conservative Party on youth engagement – until recently, she served on the Conservative Party Board – and was awarded both “Youth Friendly MP 2014” and “Grassroots Diplomat Initiative - Business Driver 2014”. She has chaired the All Party Parliamentary Group for Youth Employment, chaired the National Youth Agency’s Commission into Young People & Enterprise (2014-15) and was a commissioner on the Industry and Parliament Trust’s Youth Skills Commission (2014-15). She has played a key role in the All Party Parliamentary Group for Democratic Participation. Chloe also takes a keen interest in transport, having been elected to the Commons Transport Select Committee. She has chaired the All Party Parliamentary Group for Air Ambulances, and served as Chair of Trustees of the Air Ambulance Association (Charity). She co-chaired the Great Eastern Mainline Rail Taskforce (2013-2017), which has now secured £1bn of investment for East Anglia. She’s particularly proud that this work has brought about the new trains which constituents and regional passengers will enjoy – which in turn will bring thousands of jobs to Norwich. 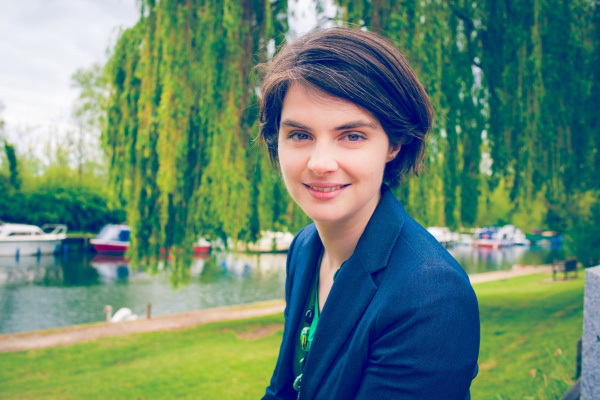 Chloe has worked internationally too, representing Britain through the Inter-Parliamentary Union and training overseas sister parties in Africa and Eastern Europe through the Westminster Foundation for Democracy. With the UN and other agencies, she has assisted new MPs in Burma in developing their Parliament. She is an active charity volunteer, having attempted to climb Mt Kilimanjaro in 2006 for the British Heart Foundation and Leukaemia Research and having completed fundraising challenges for local charities such as John Grooms Court. She has volunteered for Norwich Foodbank; is Patron of YMCA Norfolk; Patron of Eating Matters (the Norfolk Eating Disorders Association); Patron of local childhood abuse charity Surviving Together; and Honorary Vice President of the Norfolk and Norwich Novi Sad Association. Chloe is a member of the Wensum Academy Trust and a member of the Norwich Business School Advisory Board, and has been chair of governors for a constituency primary school too. She sits on the advisory board of national social mobility charity Future First, and is currently working both nationally and locally to lead improvements for the life chances of the poorest children in Norwich. In her spare time, Chloe enjoys cycling, like the Norwich 50 ride, and playing badminton at a city club; she also loves the arts and tries not to miss the Norfolk and Norwich Festival. She is married to Sandy and they are juggling their jobs with all the thrills and spills of their toddler son! To find out more about Chloe and her work you can follow her here on this site, and on LinkedIn, Facebook and Twitter.